A Bibb County Sheriff’s Office Patrol Deputy was patrolling, Elpis Street and Lilly Avenue just before 3:00p.m., the patrol deputy noticed a parked on the wrong side of the road. When the deputy was pulling up to the vehicle a black male got out of the vehicle and walked behind a residence as if trying to hide from the deputy. When the deputy made contact with the subject, identified as Jamison Davis Jr. of Macon. The deputy asked for Davis’ identification he was told it was in the vehicle. While Davis was retrieving the i.d. the deputy noticed several empty small bags and a strong odor of marijuana coming from the vehicle. 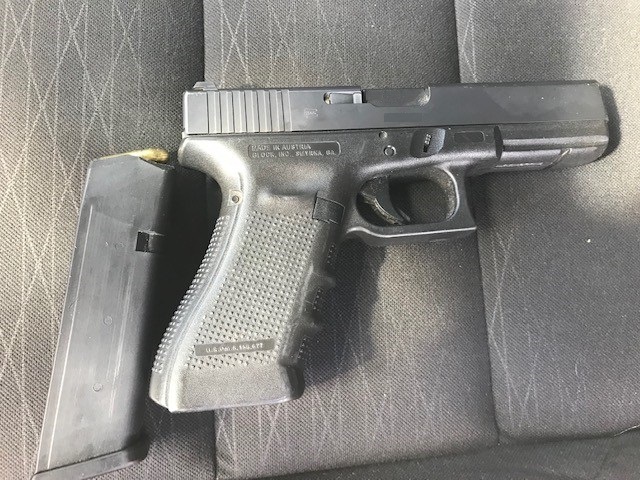 When deputies searched the vehicle they found a Glock handgun partially hidden under the center console. When deputies check the gun it came back as stolen out of Bibb County on August 16, 2018. 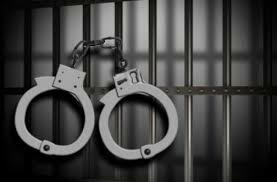 Davis was taken to the Bibb County Jail and charged with Theft by Receiving Stolen Property Felony. Davis is being held on a $5,350.00 bond at this time.